Welcome to Hunters Scarborough. Looking for your first home? Or to sell and upgrade to something bigger? Perhaps you’re a landlord, looking for a buy-to-let property, and some suitable tenants. Whatever it is you need, we can help. Hunters Scarborough Estate Agents are here to get you there. Get in touch today to discuss your requirements. Whether you're looking to sell or let your property why not get the process started with a free, no-obligation valuation? Get an estimate in seconds online or book a viewing appointment at your convenience with one of our expert estate agents. We cover the towns of Scarborough and Filey, plus the surrounding villages of Burniston, Scalby, Staxton, Brompton, Seamer, Hunmanby and Reighton. They all provide a diverse range of property styles and values, from flats and apartments, to family homes, large farms and estates. Prices vary depending on area and the size of the property. A flat can be bought for less than £100,000, whilst detached houses can cost as much as several million. Hunters Scarborough Estate Agents will assist you throughout your journey, whether you are selling, buying, letting or renting your home. The Hunters Scarborough team are here to ensure that everything is handled in a professional and supportive manner. When selling or renting out your property, we will use professional quality imagery, described in a manner to appeal to the widest range of buyers. You’ll achieve a sale at the best possible price due to our extensively researched valuations. All viewings are 100% accompanied by us, and we’ll ensure to communicate with all parties involved, from sale and purchase, to progressing the transaction and completion in a timely manner. Nobody does it better! Whilst we understand the huge importance of personal service and expert local knowledge is an essential part of our customer needs, we make sure that the latest technology is used to provide our customers the best marketing platform for their property. From professional photography, accurate floorplans, interactive window showing your property as a feature home 24/7 and now the exceptional 3D virtual tour facility, we ensure your property receives the best possible exposure. 3D Virtual Tours. Using the latest cutting edge technology provided by Matterport we allow buyers & tenants the ability to immerse themselves. This is next generation immersive media for the property industry. Hunters Estate Agents and Letting Agents Scarborough are excited to announce the introduction of the Matterport 3D Showcase, a completely new form of immersive 3D media that invites you to explore a place as if you were really there. This will give you a total sense of how a home fits together. We use the cutting edge technology to capture colour and depth and then use powerful cloud processing to quickly make immersive digital experiences out of real-world environments. Using the Dollhouse View and a Floor Plan view the 3D Showcase easily allow the viewer to navigate their way entirely through a property, using only their mouse, keyboard or finger on smartphones and tablets. Interested in how our Matterport 3D Showcase will enhance your agency's marketing potential? Call the Hunters Scarborough branch today to find out more! Looking to sell or let your property? It’s a lot easier when you have an accurate idea of its valuation. This is something we can help you with. Our free valuation service is available to everyone. All you have to do is visit this page to get an online valuation. Or, we can send someone to do it in person. To get started, call our office on 01723 336760. Absolutely brilliant service. James valued my flat for me and was exceptionally professional and helpful. Naomi then dealt with the majority of the sale - she was always available for any queries and communication was a lot stronger than I've seen of an estate agent before once the sale was in the solicitors hands. Would 100% use Hunters again in the future and recommend to anyone! Excellent customer service, very efficient and friendly staff unlike some other local agents who I found to be rude and unhelpful! Thank you Hunters for making moving homes a pleasant experience. Yes, moving house IS stressful, but I really appreciated the care and attention the whole team gave me, in particular Janine and Naomi - highly professional, dedicated to what they do, and managing to put me at my ease (no easy task!) No doubt about it - I'm happy to recommend Hunter's; many thanks. VAT Reg No: 212 2999 13 | Registered No: 09548804 | Registered Office: C/O Positive Accountants, Elmwood House, York Road, Kirk Hammerton, York, YO26 8DH. A Hunters franchise owned and operated under licence by Coast and Country Scarborough Limited. 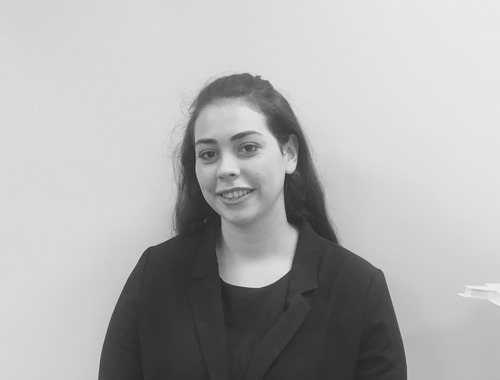 Naomi joined Hunters Estate Agent Scarborough after recently graduating from university. Naomi has a background in sales having worked within a busy sales environment. Studying ballet for many years Naomi appreciates the necessity of discipline and dedication when striving to achieve the highest standards. 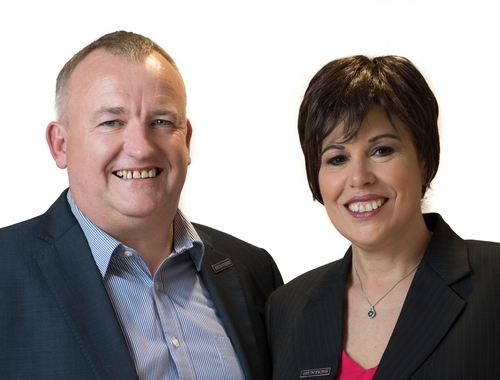 Originally in the armed forces until a training injury forced him to reconsider his career path, this led James to join a leading corporate estate agent where he has honed his skills for the last seven years. 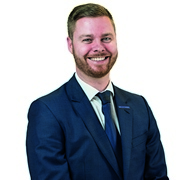 Having settled in Scarborough with his family, James was looking for his next challenge and Joining Hunters Estate and Lettings Agents in Scarborough at its inauguration was that challenge. James has extensive experience of the Scarborough property market and brings this and his drive to succeed to Hunters. Joined Hunters after 19 years as a retail manager, with a passion for property and deciding to step away from retail she joined our team at the beginning of 2017 and has never looked back. 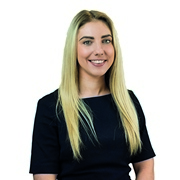 Laura is a new member to the team with extensive background in customer service working at Debenhams and before Hunters was selling property with The Sands, 5-star seafront apartments and discovered a passion for property. She started with Hunters Estate Agents Scarborough at the beginning of 2018 and has never looked back. Laura has a great knowledge of the local area as she has lived in Scarborough all her life. Outside of work, Laura has a great love of travelling. 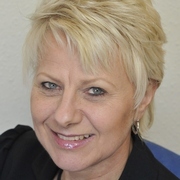 As the Residential Lettings Manager, Bev has 39 years experience in the Estate Agency business, 25 of which have been within lettings and management. Being very well connected and respected throughout the town and dealing with numerous contractors on a daily basis, she is meticulous in her approach and as every landlord is different will make sure that your investment is properly looked after and provide you with the lettings/management service which fits your requirements . Lauren is the office administrator currently in the process of gaining her Level 2 Administration Apprenticeship. 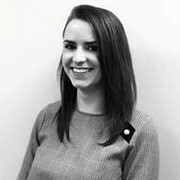 She joined the team in April 2017 and is currently looking after all aspects of the business admin such as brochure production, marketing and office presentation. Scarborough and its surrounding areas provide some of North Yorkshires highly sought after beaches, as this busy seaside town is home to many of Britain’s holiday makers. With the famous Scarborough Castle and the beautifully historic Old Town, the area is home to some delightful hidden treasures. The main fishing harbour is just a short walk from the lively south bay beach which is alongside the Spa complex that provides endless entertainment all year round. With a mass of art & culture including the flourishing family music festival ‘Staxtonbury’ and Scarborough Towns international German food market, this exciting Coastal town has something that everyone can enjoy. With a variety of theatres including the historic Stephan Joseph Theatre and the newly established Open Air Theatre, it's often awash with talent from both a local and international background. There are many sought after areas all entirely dependent on what the buyer is after. From a large choice of town houses, new builds, flats and apartments we can cater for both commercial builds, rural properties and especially for those who request a sea view! With a variety of new estates being built in the area, we can cater for the first time buyer candidate or a property investor who wants a new refurbishment project. Whatever property you desire we can provide for whether that be a brand new modern build or a Victorian piece of history. Home to some of Britain’s most desirable features Scarborough offers a huge variety of schools, colleges and University campuses as this seaside town is ideal for a quiet retreat or to emerge into a busy family life. Amongst the beautiful coastal scenery it can also provide a spirited town atmosphere or some peaceful country air. Whilst neighbouring some of North Yorkshires most beautiful sought after villages such as Scalby, Brompton-by-Sawdon, Foxholes, Seamer, Newby, Eastfield and Ravenscar, Scarborough and its surrounding areas are sure to offer something for everyone. With a number of local golf courses, swimming pools and sports facilities you can happily be entertained with a variety of activities in the town centre or venture further afar straight out onto the A64. With neighbouring towns and villages such as Whitby, Sawdon, Reighton, Ravenscar, Burniston, Irton, Staxton, Muston, and Filey, a huge variety of amenities are available right on your doorstep.